We’ve all been there — that moment when you hand your phone over to the youngest person in the room to get them to show you how to do something, or to have them explain what in the heck a hashtag is. 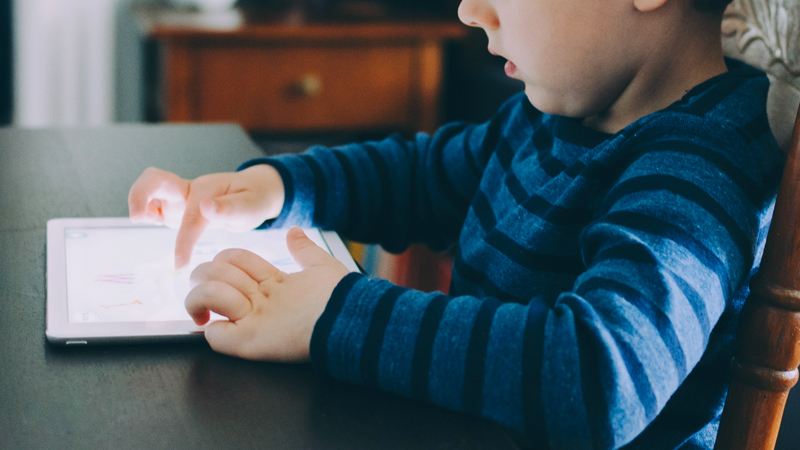 Kids and teens today are more tech savvy then generations of the past, with many learning how to use tablets and smartphones before their first day of preschool. A recent Asurion study, conducted by OnePoll, surveyed 2,000 parents with kids between the ages of three and 18 to learn how they’re using technology to assist with their parenting. 76% of parents said they rely on smart devices like security cameras and video doorbells to help keep an eye on their kids. But, not surprisingly, most parents acknowledged that guarding their child’s safety in the online world was just as much of a priority to them. 83% of parents agree they should be allowed to monitor their children, especially their digital lives. More than half use parental controls to limit or monitor their kids’ internet browsing and social media. 3 out of 5 parents admit to checking browsing history on their kids’ phones or computers. Nearly all of the parents we spoke to said that while technology usage can bring about a certain level of risk for kids, it also is a valuable tool since it allows them to be more involved in keeping track of their child’s activities and who they’re hanging out with. While keeping up with all of the latest devices, apps and social media platforms can seem like a daunting and confusing task, fear not: we can help. Keep computers and tablets in a public space. It’s a lot easier to keep tabs on your kids’ online activity when they’re in the kitchen as opposed to their bedroom with the door closed. Create a public charging station in your home, a place where all devices (including yours) are charged and left overnight. Draft an online conduct contract. Set clear rules and consequences that everyone can agree on. Make sure your kids understand your expectations, whether they’re using a phone, laptop, or video game. Start with the basics. Teach kids basic ways to protect themselves without limiting their fun. Start with simple changes like opting out of location sharing, setting strong passwords, and covering computer and smartphone cameras when they’re not in use. Be their friend online. In Asurion’s survey, 45% of parents agreed that something parents should never do is create a fake social media account to follow your child. Be upfront about expectations. 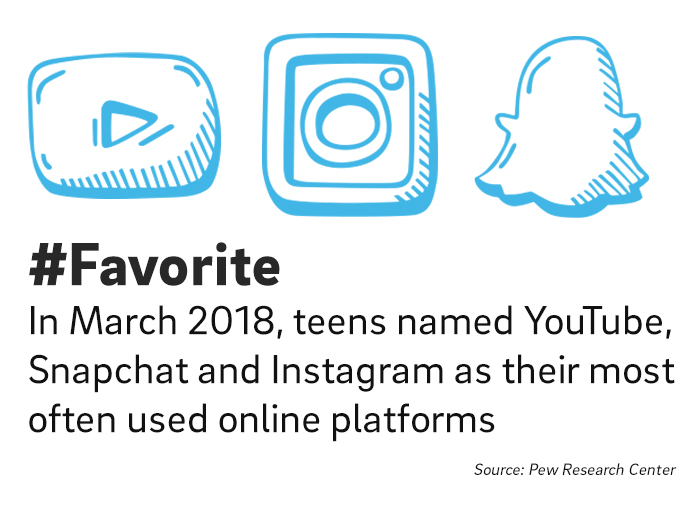 If you agree to let your tween use Instagram or Snapchat, make it clear that you’ll have access to the account. You’ll be a friend, you’ll know the password. Don’t be afraid to ask questions. Talk, educate, and listen. 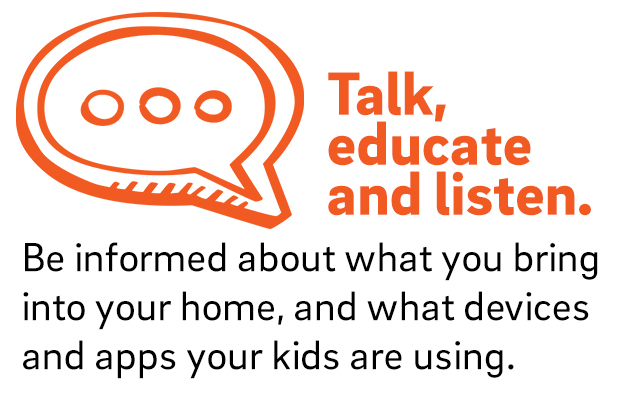 Be informed about what you bring into your home, and what devices and apps your kids are using. And be conscious of your own digital behavior. Don’t use your phone at the breakfast table unless you want the whole family to do the same. If you need a little additional assistance with keeping track of your kids and their technology use, there’s several helpful apps on the market to help with just that. Qustodio offers an easy-to-use interface for even the most non-technical parent. You can get a simplified view of sites and apps your child is accessing and can set time limits, track texts, and even filter out those sites that may not be suitable for young eyes. For an even more robust app with additional monitoring options, mSpy allows parents to see who their kids call, what they text, and their GPS location among other activities.